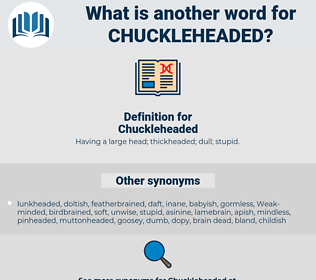 What is another word for Chuckleheaded? 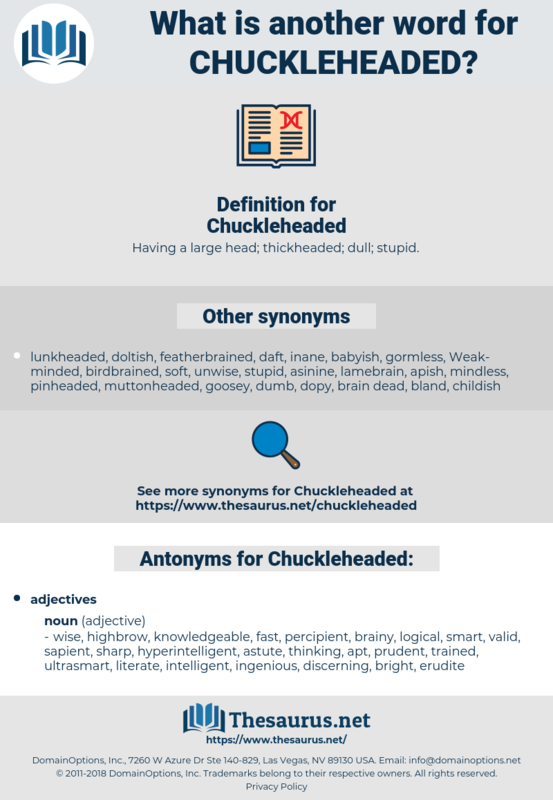 Having a large head; thickheaded; dull; stupid. knowing, cerebral, intelligent, insightful, quick, supersmart, keen, nimble, informed, scholarly, Sharp-witted, learned, acute, literate, smart, ultrasmart, logical, cunning, quick-witted, reasonable, sagacious, astute, sane, thinking, apt, crafty, clever, sage, sharp, highbrow, percipient, trained, intellectual, rational, wise, fast, sapient, brilliant, educated, schooled, foxy, perceptive, discerning, judicious, shrewd, erudite, well-read, sensible, prudent, sound, hyperintelligent, ingenious, bright, savvy, knowledgeable, brainy, wily, perspicacious, skilled, valid, resourceful.